Why should you opt for mineral water? With the summer kicking in water is essential for this time of year. Mineral water is the sort of quenching drink you need in this heat. It is a fact that today many of you are concerned with the quality of fruits and vegetables being less nutritious. This concern has been on a rise due because the soil is lacking its vital minerals. There are certain health benefits of drinking mineral water. Our body needs minerals, which you are no doubt getting from the regular drinking water. Usually tap water contains minerals, to give the accurate numbers. By drinking 2 litres of water a day, you will be getting 10 to 15% of your daily calcium requirement. With an addition to a third of your required magnesium, which comes just from the water you drink. Yes! Bottled mineral water is said to contain up to four times as much calcium and magnesium, when compared to regular tap water. You are right; if you suspect that regular drinking water is low in minerals. 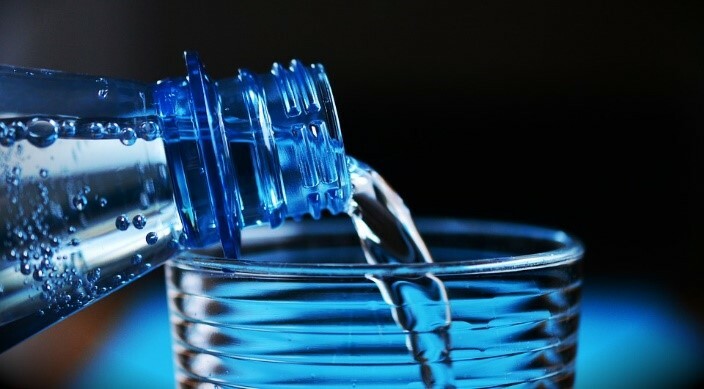 Thus, it is required to drink more mineral water; it will be beneficial if added in your diet. Water being an essential component in human body, will no doubt affect your health. A recent study shows that people who drink water with the required percent of magnesium, are able to lower their blood pressure by drinking a litre of mineral water every day. There are more than one way to get the required magnesium for your body. You can achieve so by adding brown rice, almonds, lima beans, and spinach, in your diet and these all food substances are indeed good sources of magnesium. By drinking mineral water you are ensuring your body, the right intake of calcium, magnesium, and other minerals. How Do Minerals in Drinking Water Affect Your Health? Increases bone health – Calcium is the most important mineral when bone formation is concerned and mineral water is rich in calcium. Hence, you see by daily consumption of mineral water you will be ensuring daily supplement of calcium in the body. It strengthens human bones, teeth and even nails against damage. Regulates Body Fat – It is also a fat free supplement, which offers a good amount of fat metabolising minerals, which helps in fat breakdown. Therefore, if you choose mineral water over aerated drinks and soda, you now know that you are making a healthier choice. Blood Pressure Management – Mineral water is in fact a boon for people suffering from the problem of fluctuating levels of blood pressure. Magnesium and calcium being actively involved in electrolytic process of the human brain and body, helps to maintain the essential balance of blood pressure in humans. Reduces Cardiac Diseases – Bad cholesterol gets deposited in the adipose tissues and around the blood capillaries. This results in no blood circulation, and the openings of the capillaries are narrowed. This increases blood pressure, which increases the risk of heart attacks in heart patients. Mineral water hampers the growth and accumulation of bad cholesterol in capillaries and thus reduces the risk of cardiac diseases as well. The proper growth and functioning of human muscles, due to the mineral water only increases physical and mental alertness. Mineral water is also a fresh source of skin friendly silica particles, which is a natural secret to a beautiful skin. As you see, there is no reason why you should not drink mineral water. With choosing mineral water you are only opting for a healthier life. ⟵Why Choose Branded Mineral Water as Your Marketing Product This Summer?